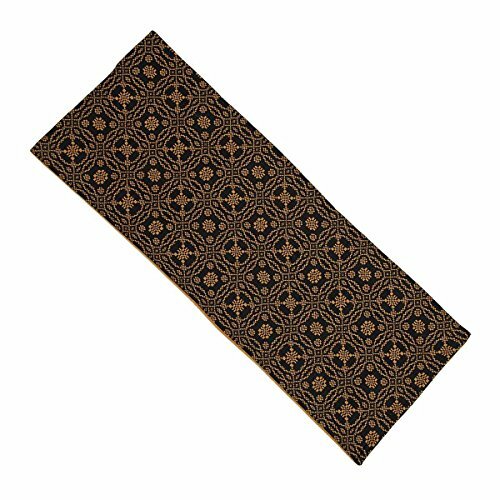 Home Collection by Raghu Lover's Knot Jacquard Black & Mustard 14" x 36" Table Runner. We specialize in home decor of every style; primitive, country and upscale country. With hundreds of patterns and styles to choose from; country plaids, checks, floral and solids. Home Collections by Raghu carries table top linens for every season. Our window treatments include drapery panels, prairie curtains, tiers and valances in various styles. If you have any questions about this product by Home Collection by Raghu, contact us by completing and submitting the form below. If you are looking for a specif part number, please include it with your message.